Welcome to Aromatic Essential Hydrosol ! 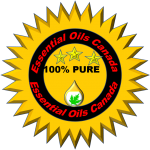 Essential oils Canada is our online store based in Brampton, Ontario. We sell a variety of Pure and Natural Essential oils, Hydrosols and Carrier oils to meet your Aromatherapy needs and wellness. We always make our every efforts to purchase pure and natural high quality Essential oils all around the globe. Here at Essential oils Canada, we strive to provide EXCELLENT customer service. If you have any questions or concerns, do not hesitate to give us a call or e mail us. So, whether you are in Toronto , Ontario or across the country, we would love to help with your Essential oils needs. Spend some time with us and browse through our pure and natural essential oils, hydrosols and carrier oils. If we can assist you in any way, please send us a email to info@essentialoilscanada.ca .We are always happy to help!